The HD2 mini packs big features, such as dual embedded cellular, SpeedFusion bandwidth bonding, and PoE, into a tough, compact enclosure that stands up to life on the go. Dual Cellular and Redundant SIM slots allow you to use the same or different cellular providers for bandwidth bonding, data overage protection or eliminating blind spots. With built-in GPS fleet tracking and InControl cloud-based management, you can keep tabs on location and manage your mobile network from any Internet-connected device. Got a strict no-Wi-Fi security policy? Configured without Wi-Fi, the BR1 ENT is a great choice for deployments with compliance requirements. 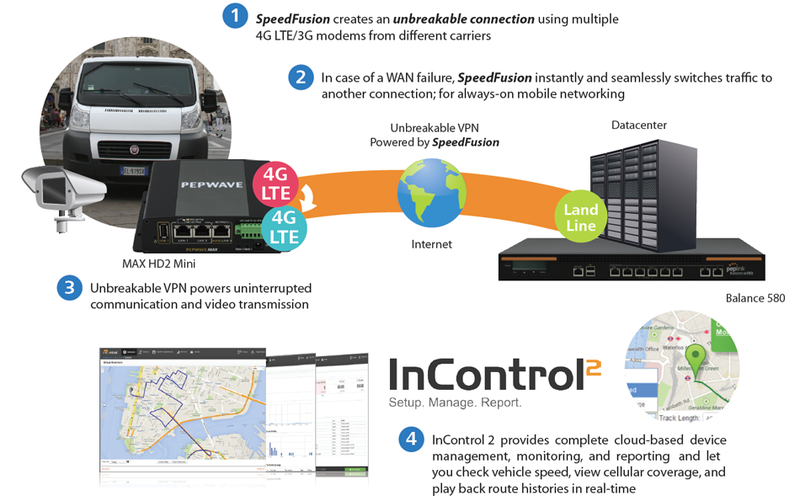 SpeedFusion bandwidth bonding technology bonds all connected bandwidth into a single superfast stream, using the same or different cellular providers. Branding your captive portal is as easy as uploading your logo and terms & conditions. You can easily set bandwidth allowance and access duration per user or manage access using RADIUS. 1 IPsec VPN supports connection with Cisco, Juniper, Peplink, or Pepwave devices. 1 The frequency range for 802.11b/g/n Wi-Fi and 802.11a/n Wi-Fi are 2412−2472 MHz and 5180−5825 MHz respectively. 2 Recommendation for sizing purposes only. No software restrictions applied. 3 Router Throughtput is based on Ethernet frame sizes of 1280 or 1518 bytes. Actual performance can vary across different networking environments. 4 Cache Throughput refers to the speed of routing content from disk drive to LAN. * Available as an optional add-on. 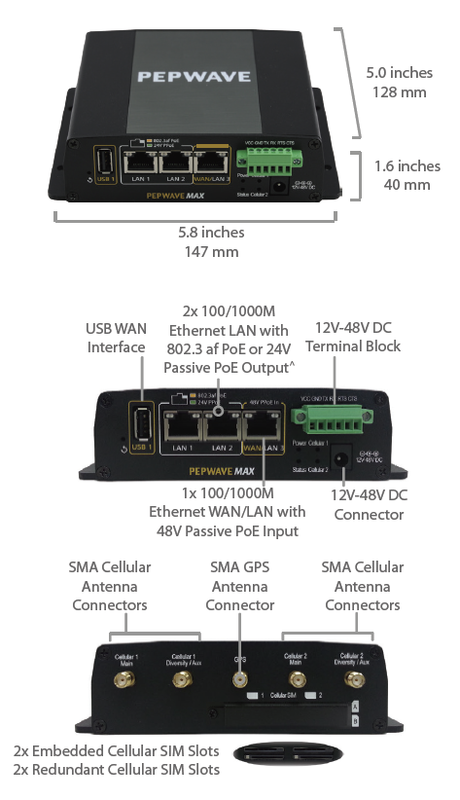 # Optional PoE Activation Kit is required to activate 802.3af PoE Output. 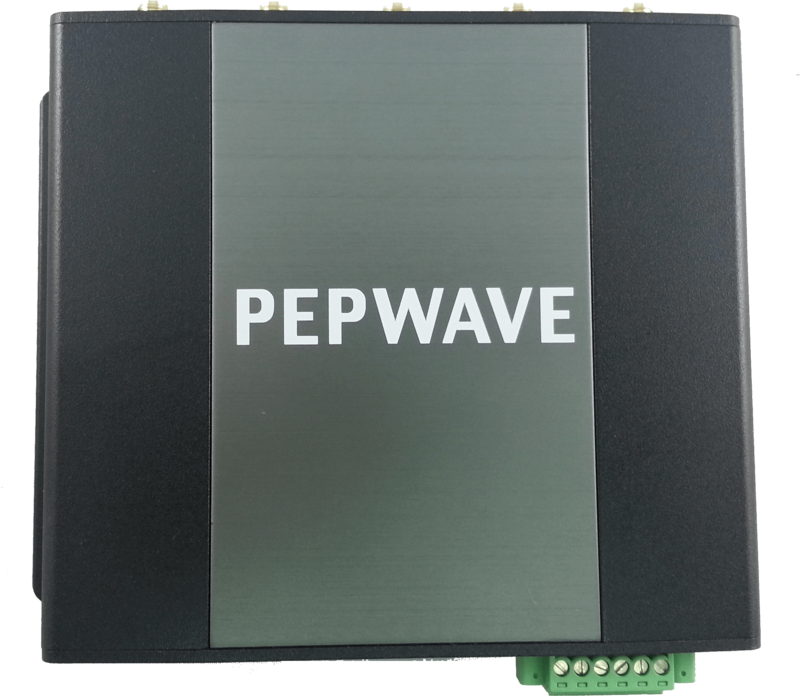 Download the Pepwave MAX HD2 Mini Datasheet (PDF). Download the Pepwave MAX Full Comparison Chart (PDF).